Cheers to the weekend! 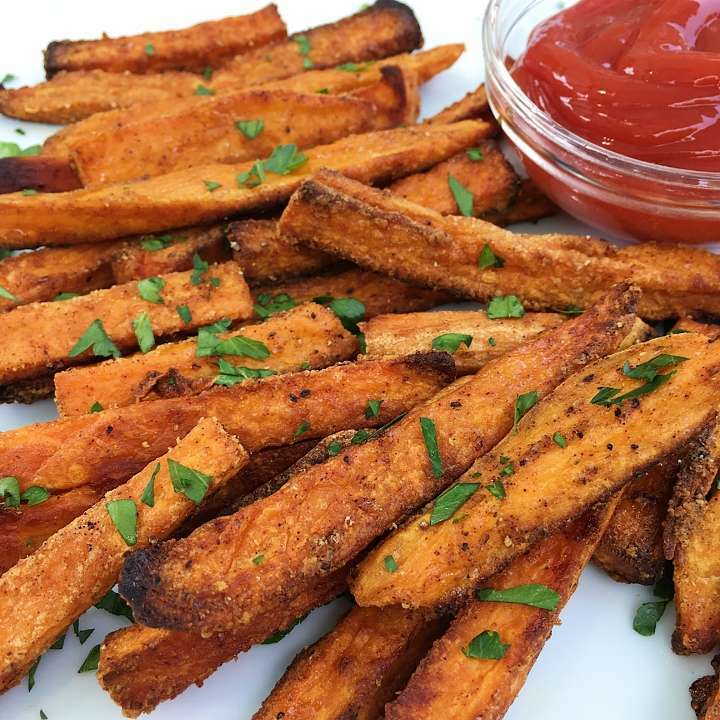 Crispy Baked Sweet Potato Fries are always a good idea but especially on FRY-day! Crispy on the outside, soft on the inside and perfectly seasoned, these fries are like candy! Recipe adapted from Feel Good Foodie, we’ve made these many times with both sweet potato and regular potatoes, and they are super easy to make. The sweet potatoes are lightly coated with just a touch of gluten-free flour, then tossed in a mix of olive oil, garlic powder, paprika, salt and pepper, then baked. That’s it! Super tasty on their own or served with your favorite dipping sauce. Place sweet potatoes in a large bowl and toss with flour so that each are lightly coated with just a touch of flour. Pour sweet potatoes into strainer and shake off any excess flour. Wipe any excess flour out the bowl, then add olive oil, garlic powder, salt, paprika and black pepper. Mix to combine. Add potatoes back into the bowl and gently toss until all covered in oil-seasoning mixture. Place sweet potatoes in a single layer on a baking sheet. Be careful that they not touch and are not too crowded so that they don't steam. Bake 15 minutes. Flip. Bake 15 more minutes.Turn off oven and keep fries in oven while oven cools. Serve with your favorite ketchup, avocado spread or mayo.